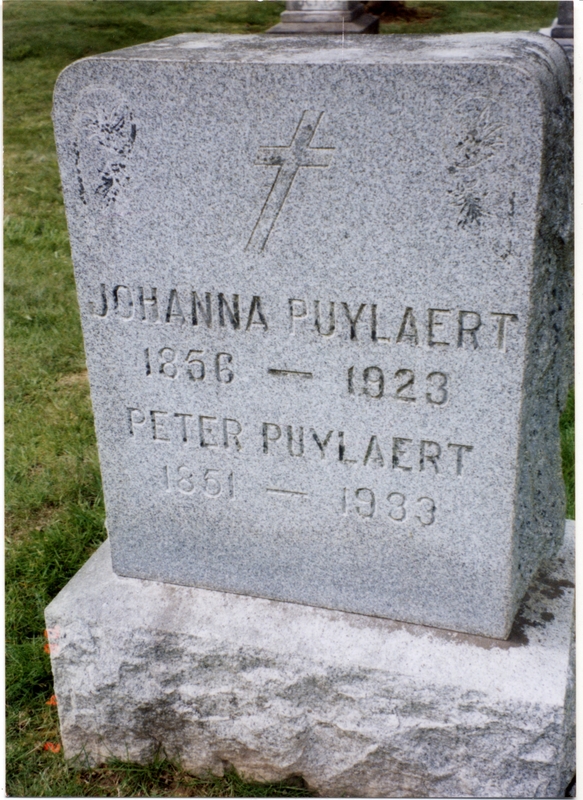 Description [on headstone] Johanna Puylaert, 1856-1923. Peter Puylaert, 1851-1933. Cross engraved on stone. Family name later changed to Pollard. Photo in the History of the Methodist Church scrapbook; loaned by Helen Grigg.